But even though most chatbots can handle moderately sophisticated conversations, like welcome conversations and product discovery interactions, the if/then logic that powers their conversational capabilities can be limiting. For instance, if a customer asks a unique yet pressing question that you didn’t account for when designing your chatbot’s logic, there’s no way it can answer their question, which hangs your customer out to dry and ultimately leaves them dissatisfied with your customer service. Fortunately, the next advancement in chatbot technology that can solve this problem is gaining steam -- AI-powered chatbots. By leveraging machine learning and natural language processing, AI-powered chatbots can understand the intent behind your customers’ requests, account for each customer’s entire conversation history when it interacts with them, and respond to their questions in a natural, human way. If you’re currently using a standard chatbot, but want to upgrade to an AI-powered one, we’ve put together a list of the best AI chatbots for 2019. Read on to find the right one for you. Developed by one of the leaders in the AI space, IBM, Watson Assistant is one of the most advanced AI-powered chatbots on the market. 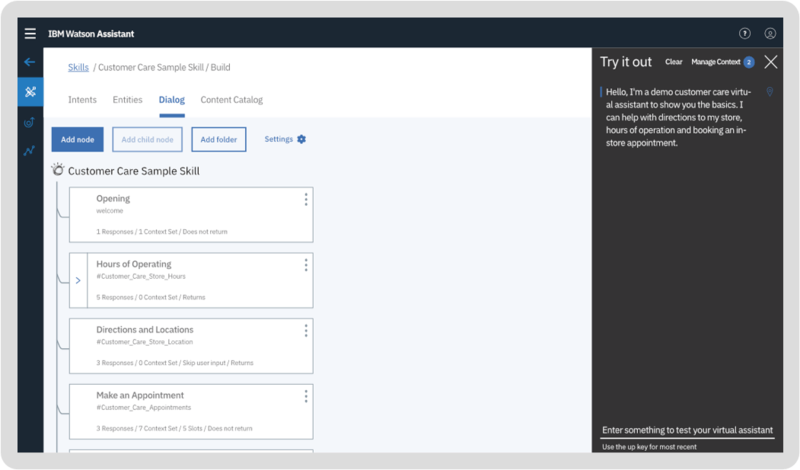 Pre-trained with content from your specific industry, Watson Assistant can understand your historical chat or call logs, search for an answer in your knowledge base, ask customers for more clarity, direct them to human representatives, and even give you training recommendations to hone its conversational abilities. Watson Assistant can run on your website, messaging channels, customer service tools, and mobile app. The chatbot also comes with a visual dialog editor, so you don’t need any coding experience to develop it. Trusted by customers like Intuit, Edible Arrangements, and Vodafone, Bold360 patented its own natural language processing technology to help brands build chatbots that can understand your customers’ intent without the need of keyword matching and learn how to deliver the most accurate answers to them. Bold360’s conversational AI can interpret complex language, remember the context of an entire conversation, and reply to customers with natural responses. Customers can even buy your products through the chatbot. You can also give your chatbot its own personality and run it on most messaging channels. 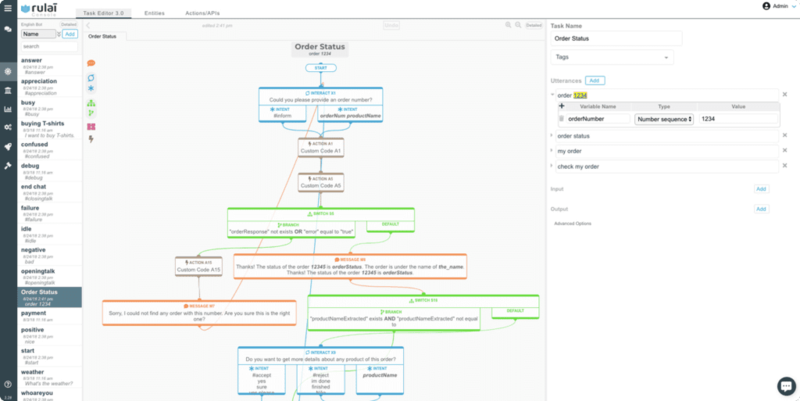 Armed with deep-learning based natural language understanding and adaptive multi-taking capabilities, Ruali, an AI-powered chatbot for enterprise brands, can understand the context of a conversation, predict user behavior, grasp customer preferences, take actions, switch to different tasks, and ask customers for more clarification. Rulai also integrates with most messaging channels, customer service software, enterprise business software, and cloud storage platforms. You can either build a Ruali chatbot from scratch with its drag-and-drop design console and let its AI adapt to your customers or you can implement a pre-trained chatbot that has been fed data from your specific industry. By collecting over 20 years of messaging transcript data and feeding it to their AI-powered chatbot, LivePerson can automate almost every industry’s messaging and integrate with most messaging channels like your website, mobile app, Apple Business Chat, text messaging, Google Rich Business messaging, Line, Facebook Messenger, WhatsApp, and Google AdLingo. 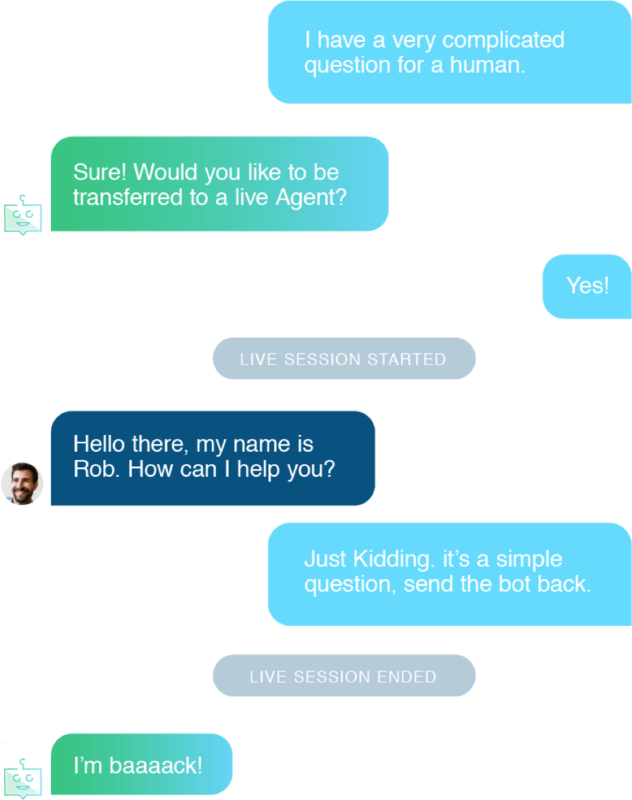 LivePerson’s BotStudio also lets you build chatbots from scratch, without any coding knowledge, and its analytics dashboard can track metrics like real-time sentiment, bot containment rate, bot conversation time, total conversation time, average order value, and bot contained sales, allowing you to grasp the impact your chatbot has had on your business’ bottom line. Designed specifically for enterprise brands, Inbenta’s chatbot leverages machine learning and its own natural language processing engine to detect the context of each customer conversation and accurately answer their questions. Inbenta also offers a dialog manager, which allows you to craft custom conversation flows and paths. Additionally, when Inbenta’s chatbot realizes that one of your customers needs to talk to a human, it’ll escalate the conversation to the appropriate support agent. To make your chatbot seem more human, you create a custom avatar for it, too. Trusted by customers like Medium, Shopify, and MailChimp, Ada is an AI-powered chatbot that features a drag-and-drop builder that you can use to train it, add GIFs to certain messages, and store customer data. 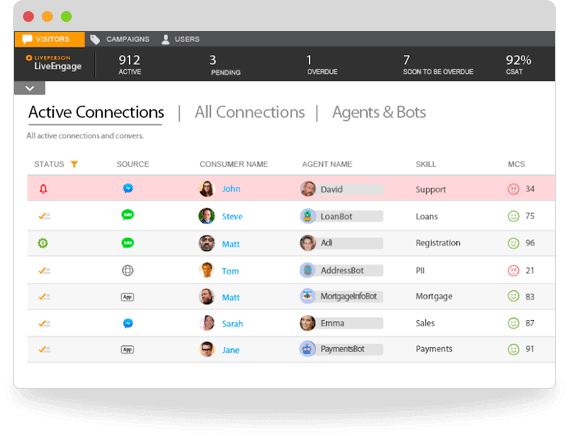 Ada can also integrate with most messaging channels and customer service software, send personalized content to your customers, ask for customer feedback, and report on your bots’ time, effort, and cost savings. According to their website, Ada has saved their customers over $100 million in savings and 1 billion minutes of customer service effort. 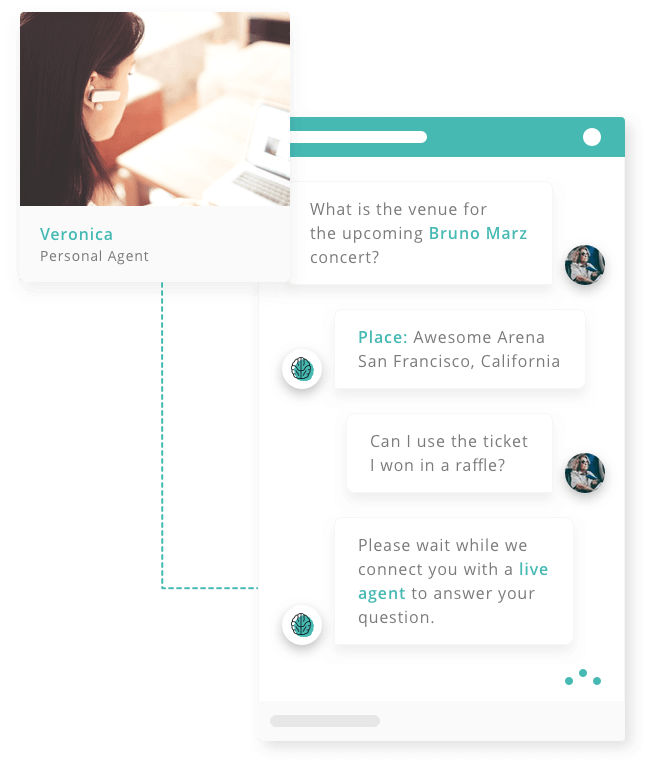 Vergic offers an AI-powered chatbot that can serve as your businesses’ first line of customer support, handle transactional chats, and transfer more complicated problems to your actual customer service agents. It’s like a hybrid chatbot that can boost your employees’ productivity. By leveraging natural language processing and natural language understanding, Vergic can also perform sentiment analysis, share documents, highlight pages, manage conversational workflows, and report on chatbot analytics.